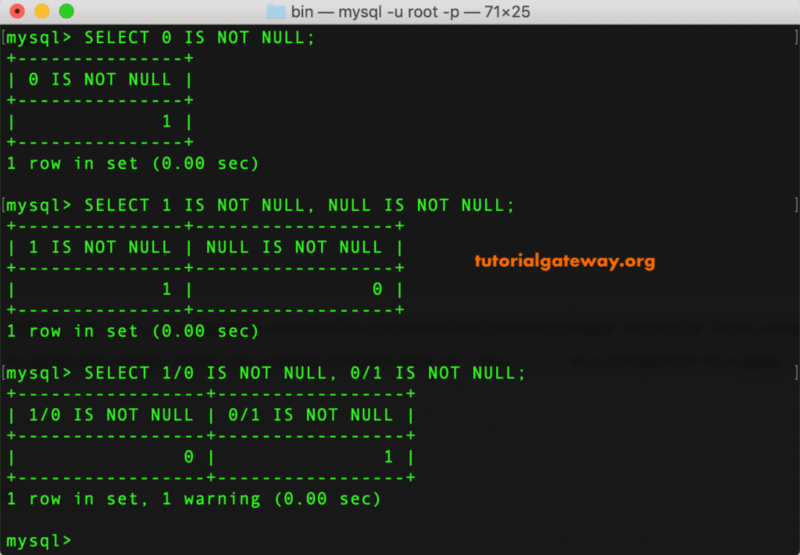 The MySQL IS NOT NULL is used to test whether the user given expression or column value is Not a NULL value or not. 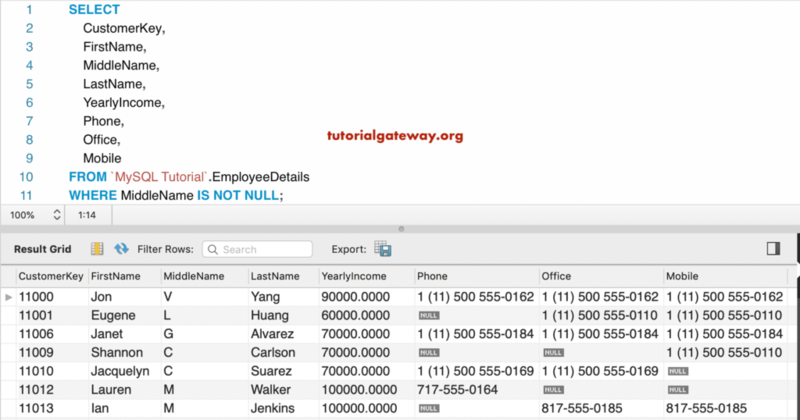 You can use this operator inside a Where clause to find the records with Not NULL values. 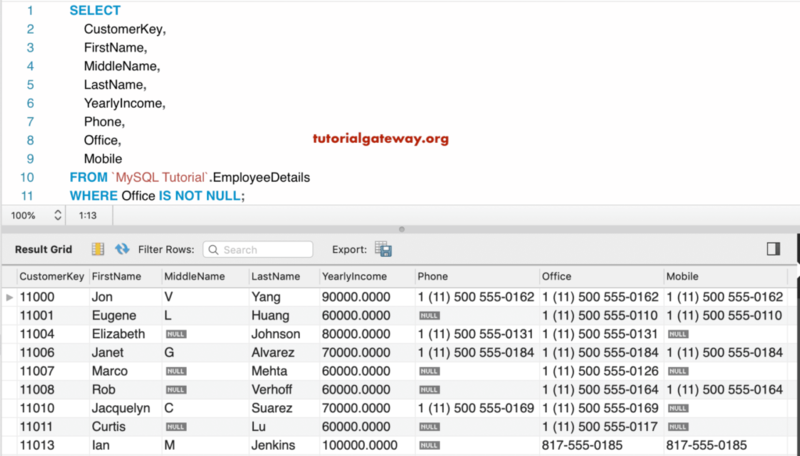 In this example, we will show you the simple examples of IS NOT NULL operator. 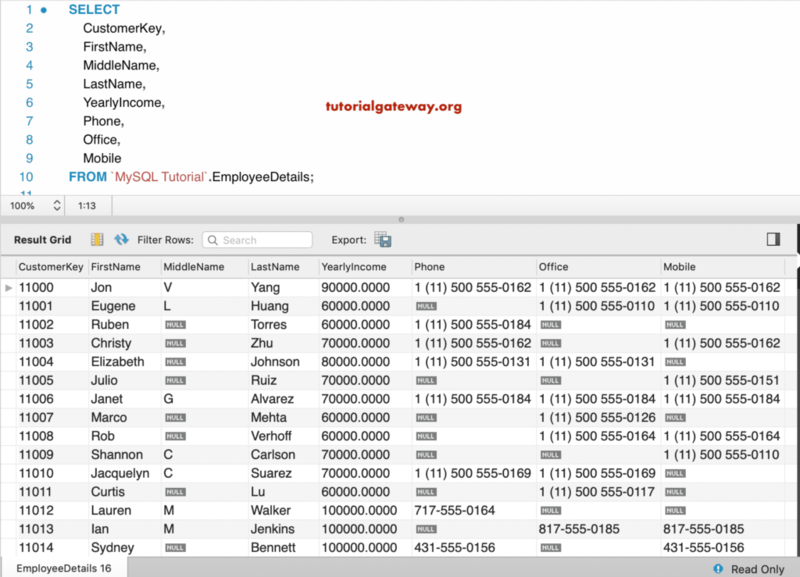 The following Query returns all the employee details records whose Office number is Not NULL. 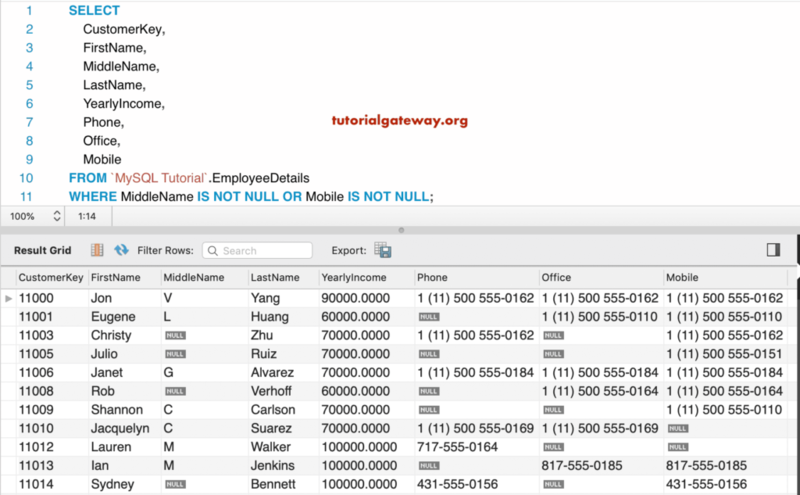 Here, we are finding the employees whose Middle is Not Null and their Mobile number is also a Non-Null value.